Spinach rice recipe or palak pulav is a quick and easy meal recipe as it cooks in less than 30 minutes. This palak rice is a one-dish meal. You know spinach is packed with nutrition and you can eat spinach raw or cooked. If you are looking for a recipe using spinach, you can try spinach rice. I always use fresh spinach leaves, as spinach is easily available. In case fresh spinach leaves are not available where you live, you may use the canned spinach. Green chili - chopped or ground to paste - 1 or more according to taste. 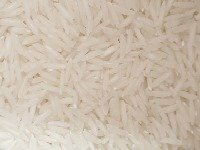 Wash rice until water runs clean and keep aside for 30 minutes. Wash spinach leaves and chop them finely. Or you may puree them if you wish. In a deep pan, heat oil/butter. Add chopped onions and fry until transparent. Add green chili, ginger/garlic paste. Saute for a few seconds. Add pulav masala, fry for a few seconds. Add water. When it starts boiling, add rice, peas, chopped spinach. Stir well and cover. Add salt and mix well. Cover and cook again till just done. Do not let the rice become too soft. When it is almost done, switch off the flame and leave it covered for 5 minutes. You can serve this by itself. Serve hot with vegetable curry, pickles, green salad, and a cup of yoghurt.You can serve with any one or all of the accompaniments. You can store this rice in the fridge for 2-3 days. Just reheat and eat. In Indian languages, as spinach is known as palak and this rice dish may be referred to as palak rice, palak pulao, palak pulao, palak chawal, palak chaval, palak bhaat. Pulav masala is available from different companies such as Everest, MDH, Lala's etc.